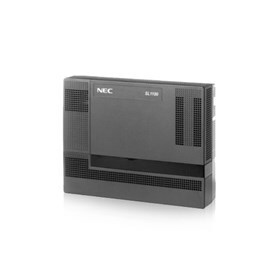 The NEC 1100010 is a compact basic key service unit which has built-in 2-channel auto attendant. It has 4 mobile extension ports and 32 conference channel resources. This service unit features various card and daughter board slots for station and PRI cards, CO trunk card and expansion card. It has 3 audio jacks for MOH/BGM/External paging and four 8-conductor jacks for trunk/station connections. The NEC 1100010 has many exciting features for users of all types. The NEC 1100010 is sold as a Brand New Unopened Item.